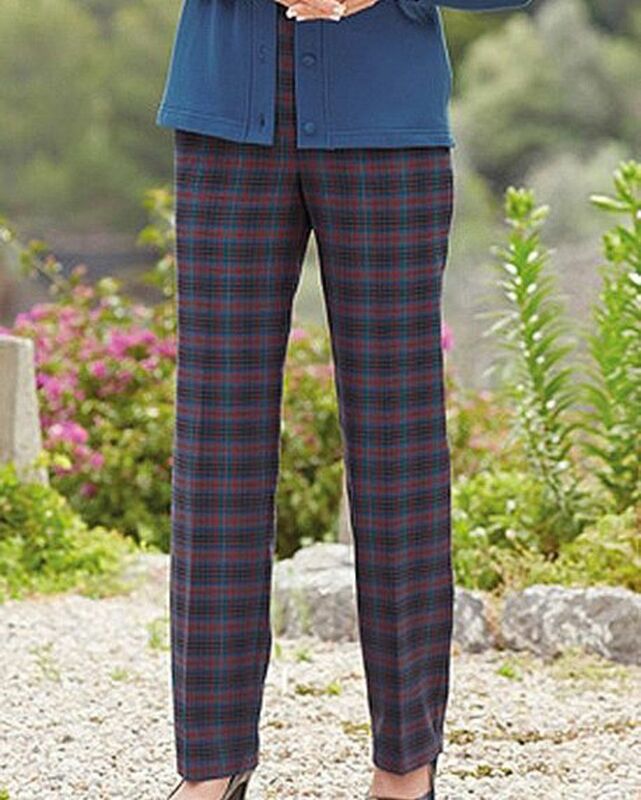 Stricking check design in easycare 65% polyester 35% viscose with shades of claret, tartan green and denim blue. Flat fronted style with front zip and button fastening. Side back waist elastication for extra comfort, side seam pockets and belt loops. Machine washable.